$175.00 Out of stock. Email me when new stock arrives. Starting with only an empty bucket and a magical wave, make a coin appear in the bucket. Another wave and even more coins appear. 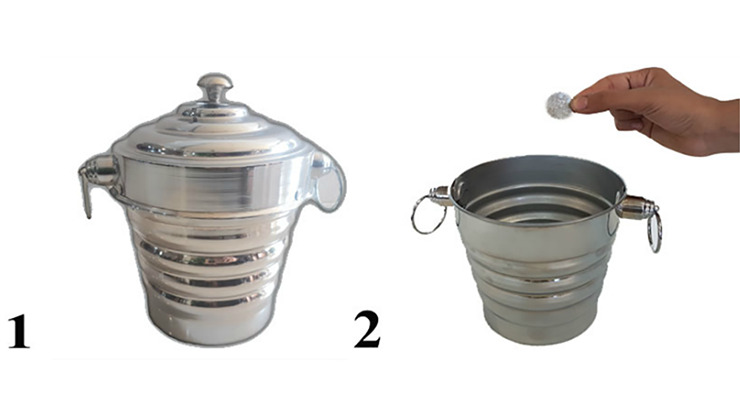 Placing a lid on the bucket doesn't help because a magical gesture later and the bucket is shown full of golden coins! Covered again and with another magical movement and the bucket is shown full of dollar bills!